In most countries of the European Union there are official masters that deal with police security, and in particular in the UNED has been giving a master's degree in this subject, the University Master in Security, for more than 7 years. All of these masters address issues of police security at the national level, but the EJMBSM Master Border Management in the European Union IS the first academic program aimed at border police cooperation within the framework of internal security whose design and delivery is done with participation of several universities and military / police academies in Europe and the collaboration of the FRONTEX Agency. In this sense, it represents an added value to the training and the police profession in the European Union. Also UNED is the university that grants the Diploma in the impartición of the Master in Police Cooperation in the European Union that is made in collaboration with the European Agency CEPOL with it Headquarters in Budapest. This EJMBSM title complements, as indicated above, the degree programs of police training within the framework of the European Higher Education Area existing in European universities. The objective is to integrate specialized training for police officers and other security forces into the training framework within the EHEA by developing this mastery program related to border security in Europe. 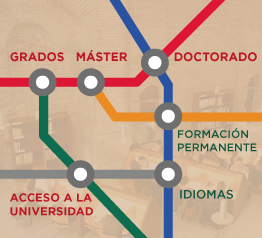 The designed program fully conforms to the Dublin Descriptors for this cycle of studies and will be taught by recognized European universities (including the Spanish universities of UNED and Salamanca). For this reason, the academic quality, consistency and consistency of the academic program are fully guaranteed. The goal/ target group of potential audience is made up of Officers from the different border police bodies of the countries that make up the European Union, providing a specific training for which the Master is used as a further specialization in management issues and specialization in international border police cooperation. The collaboration UNED Faculty of Law-Civil Guard in postgraduate subjects adopts a new step. This uninterrupted collaboration has developed over the last twenty seven years, counted retroactively as from 2017 and has covered different academic formats, both at the undergraduate and postgraduate level (seminars, courses, master's degree). Scientific, etc.). In terms of European agencies that have to deal with security control isues, the UNED takes a prominent place, implementing both this Master of FRONTEX, and that already being promoted by the European Police Training Agency (CEPOL) Both are offered with the collaboration of Guardia Civil and its Officers Academy. The implementation of the EJMBSM Master in border management in the European Union is a further boost to the European convergence that the education systems have been pursuing and supporting for years in the framework of the European Space of Higher Education and in which the UNED has been having a very important role, since it will be one of the five universities that offer this joint degree (the physical emission of the title, signed by all the Rectors of the five universities, will correspond to the Dutch NLDA, Faculty of Military Sciences of Breda, coordinated this in some way the joint process, although the five universities act in strict system of equality of importance and relevance, being the student a future titled of the five institutions) At the end of the document of Agreement and its translation includes the accreditation that NLDA (with the rest of Universities) of the European Agency ECA at the request of the Dutch NVAO Dutch edition, similar to the Spanish ANECA). Accreditation in NLDA and NVAO means that the performance of instruments of mutual recognition under the auspices of JOQAR, ENQAR acquires a validity and extensive validity and accredit outside the Netherlands (in this case in Spain and for the UNED and the University of Salamanca ) The title of master set presented here. There are several competences (learning outcomes, at the end) depending on the specific module, but we can select some general competences, following the documentation presented to the Education Spanish authorities.